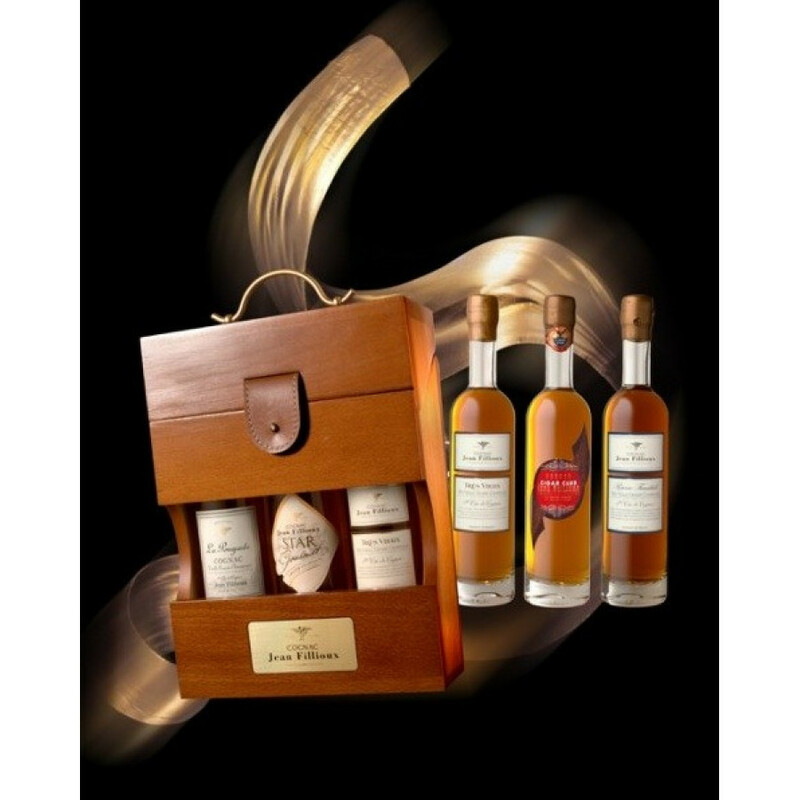 Jean Fillioux Coffret "Signature" is a set of three different Grande Champagne cognacs, each in a 20cl bottle: Très Vieux, Cigar Club, Réserve Familaile. A great way to try these 3 luxurious cognacs, or to give as a gift to that special someone... The three bottles come beautifully nestled in a smart wooden box, with brass plaque to the front.